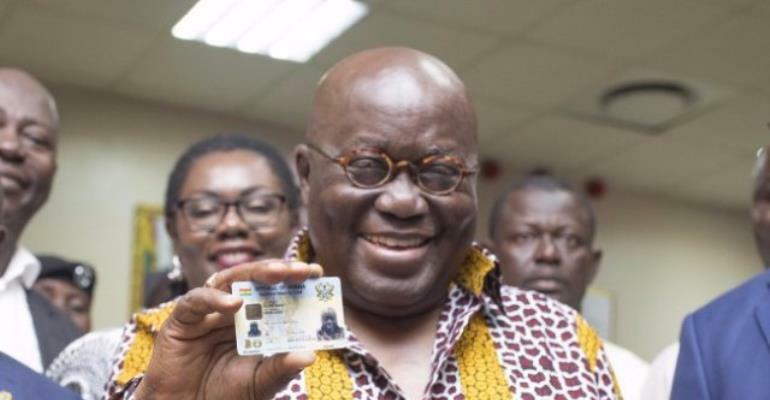 The Executive Director of the National Identification Authority (NIA) Mr Ken Attafuah is confident the Authority will surmount them and provide the cards to Ghanaians soon. He is convinced that the benefits of the card to the Ghanaian economy must excite everyone to give the NIA their maximum support. “Government considers the National Identification project as its key flagship projects and is determined to support it to succeed. We have taken a lot of flak and there is nothing we will fail to do in order to turn the fortunes of the NIA around,” he said. The audience at the UCC Auditorium ‘roared’ when Prof. Ken Attafuah announced that the Central Region will have its turn to register for their National Identification Card in March 2020. “We will arrive in Cape Coast, I think in March 2020 to get you registered,” he announced. He asked the public to ignore some members of the Minority who are pretending not to have any idea about the agreement for the execution of the project. The Executive Director indicated that a draft agreement prior to the contract that was signed with Identity Management systems, the providers of the technical system for this project, was served all Parliamentarians and due process followed. “You have heard the unkind stories about how the National Identification system is fleecing the nation and that this is an over bloated project and all kinds of accusations. And this is coming from persons who should and ought to know better and persons who ought to subdue the penchant of cheap political gains,” he fought back. The lecture was organized by the Faculty of Social Science under the College of Humanities and Legal Studies.